Last week I made a little gift bag and promised you a coordinating card. If you missed the gift bag post, you can see it right here. I designed the card just the way I did the bag - with a little sentiment on top of my small banner. 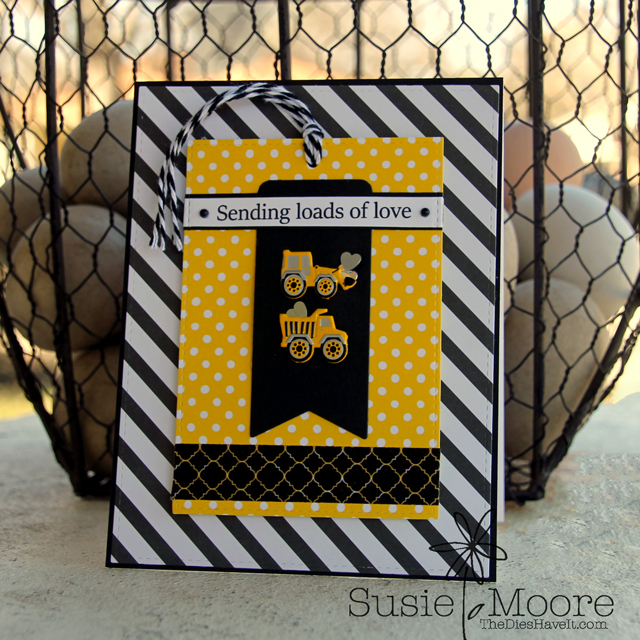 This time I placed it on a square tag, added some Washi tape and twine and then foam mounted it onto a fun diagonal striped card base. I love the black and white with the bright yellow. I hope you have a great day and I'll see you tomorrow.